On Veterans Day, a reminder of what the day once meant and what it should still mean. That was the moment at which World War I –then called THE GREAT WAR– largely came to end in 1918, on the eleventh hour of the eleventh day of the eleventh month. One of the most tragically senseless and destructive periods in all history came to a close in Western Europe with the Armistice –or end of hostilities between Germany and the Allied nations — that began at that moment. Some 20 million people had died in the fighting that raged for more than four years since August 1914. The formal end of the war came with the Treaty of Versailles in June 1919. Besides the war casualties, an estimated 100 million people died during the war of the Spanish flu, a worldwide pandemic that was completely linked to the war and had an impact on its outcome. That is the subject of my recent book, More Deadly Than War:The Hidden History of the Spanish Flu and the First World War. Of course, the hopes that “the war to end all wars” would bring peace were short-lived. By 1939, Europe was again at war and what was once called “the Great War” would become World War I. With the end of World War II, there was a movement in America to rename Armistice Day and create a holiday that recognized the veterans of all of America’s conflicts. President Eisenhower signed that law in 1954. (In 1971, Veterans Day began to be marked as a Monday holiday on the third Monday in November, but in 1978, the holiday was returned to the traditional November 11th date). Today, Veterans Day honors the duty, sacrifice and service of America’s nearly 25 million veterans of all wars, unlike Memorial Day, which specifically honors those who died fighting in America’s wars. inviting the people of the United States to observe the day … with appropriate ceremonies of friendly relations with all other peoples. The Library of Congress offers an extensive Veterans History Project. The Veterans Administration website offers more resources on teaching about Veterans Day. 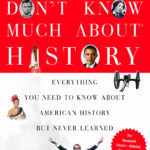 Read more about World War I and all of America’s conflicts in Don’t Know Much About History and Don’t Know Much About the American Presidents. 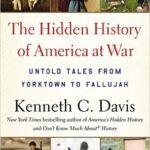 I discuss the role of Americans in battle in more than 240 years of American history in THE HIDDEN HISTORY OF AMERICA AT WAR: Untold Tales from Yorktown to Fallujah (Hachette Books and Random House Audio). My forthcoming book, MORE DEADLY THAN WAR: The Hidden History of the Spanish Flu and the First World War will be published in May 2018.